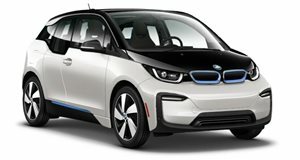 A new report suggests the BMW i1 will ride on the same platform as the Mini Cooper Electric. BMW has . The Bavarian automaker has pledged to electrify its entire range and introduce as many as 12 new EVs between 2019 and 2025. Unsurprisingly, this means the company's electric i range will be rapidly expanding. Right now, the only cars that make up BMW’s electric i range are the all-electric i3 and the plug-in hybrid i8, but BMW has already secured naming rights for the i1 through to the i9 and the iX1 through to the iX9. And now a report by has emerged claiming that BMW is considering putting an i1 in production as the automaker’s new entry-level EV. According to the report, the BMW i1 will ride on an UKL-derived electrical architecture and will be larger than the current i3 but smaller than the next-generation of the BMW 1 Series. It will also ride on the same platform as the upcoming Mini Cooper Electric, which is . Both cars will feature a front-mounted electric motor providing front-wheel drive, and the i1 is expected to have a similar power output as the Mini Cooper Electric. While production of the new electric Mini is slated to start in 2019 at Mini’s Oxford plant with the drivetrain being developed at BMW's e-mobility center in Bavaria, the i1 will reportedly sport a more family-focused design, taking the form of a five-door hatchback with a spacious interior. BMW has also hinted that the and be replaced by the i4 and iNext in 2020 and 2021, so the new i1 will most likely replace the i3 and be positioned as the brand’s most affordable EV.